It’s finally time for another Stridebox review! 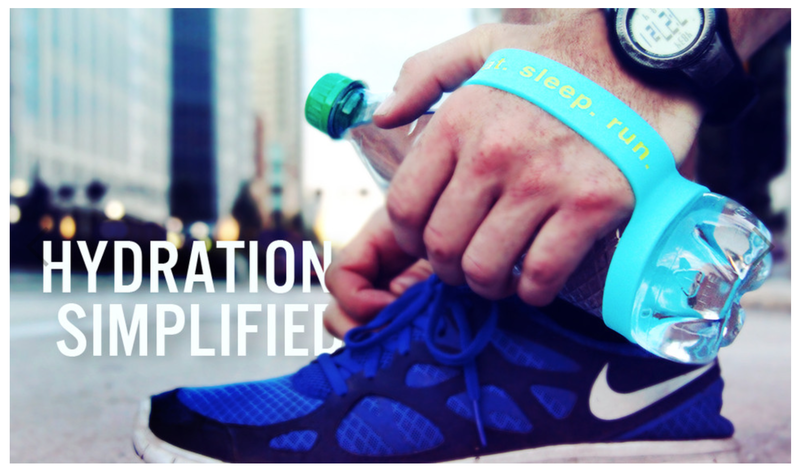 In case you missed last month’s post, Stridebox is a $15 monthly subscription box for all things running related. For some reason it’s taken me a long time to get through October’s box, but I finally did and I’m ready to talk about all of the items I have received. I received my November box a couple weeks ago and have already tried a few of the items. I am really loving getting such a variety of gear and nutrition each month. It’s been really fun so far! I’ll be back with another review soon! 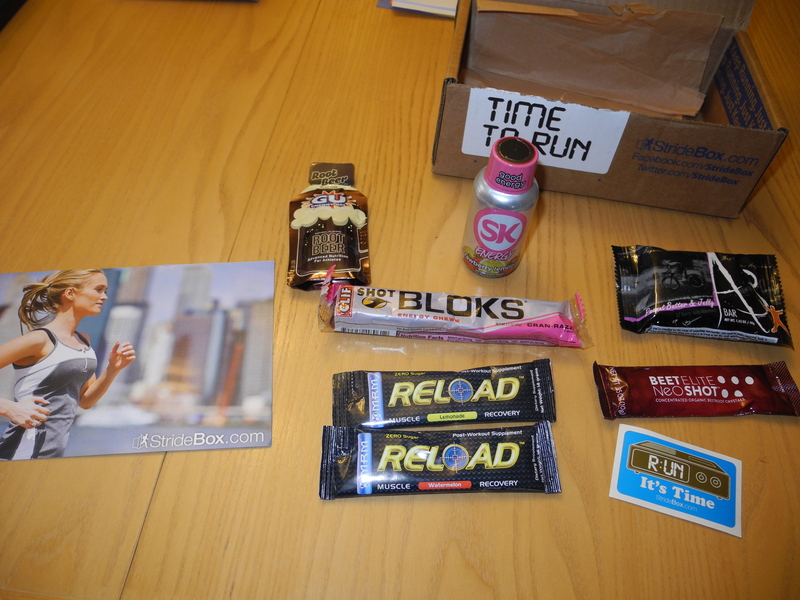 I’ve been eyeing Stridebox– a monthly subscription box for all things running related – for a few months now and finally signed up this past August. For only $15, I thought it was at least worth a try! I received my first box in early September, and have slowly been testing out each product that I got throughout the month. 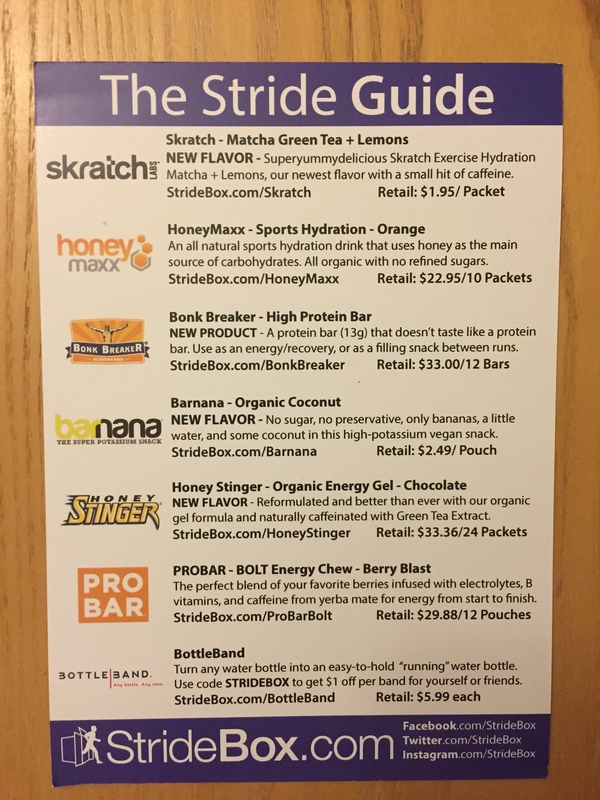 Now that I’ve sampled them all I can give a full review of the products and what I think about Stridebox in general! Running Sticker: Super cute reminder that it’s always a good time to go run! If you would like to sign up for your own Stridebox, you can click here. It’s only $15 a month, and after receiving two boxes I can say that what you receive is worth more than that. It also gives you a nice variety of different products that you might not otherwise get to try without having to buy a large package of them. 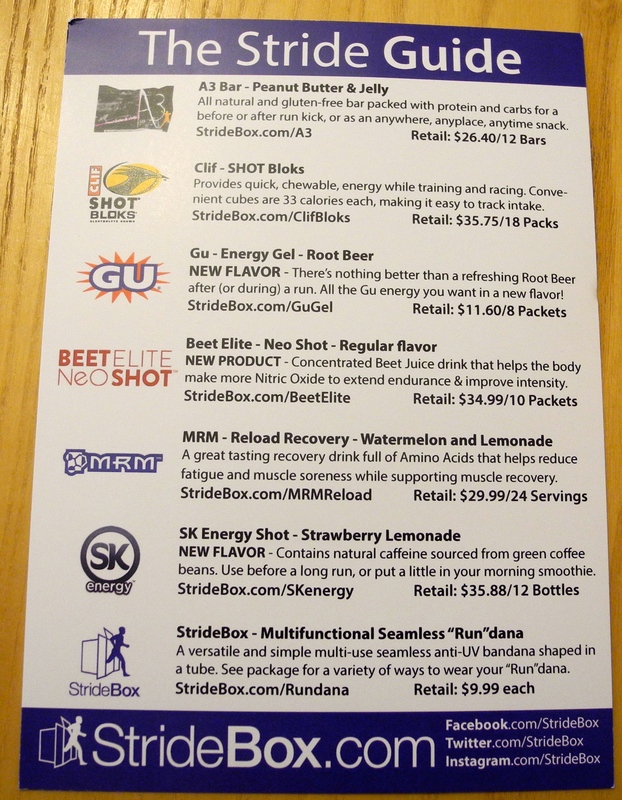 The other nice thing about Stridebox is they are working on opening their own Stride Store. So if you end up liking something a lot, you will have the option to purchase more of them at a discounted price on their website. Currently you can access the different company’s websites through a partner link, which can get your some discounts too. I just received my October box and am going to be trying those products over the next couple of weeks. I’m very excited about a few of them! I’ll be back with another review at the end of the month! 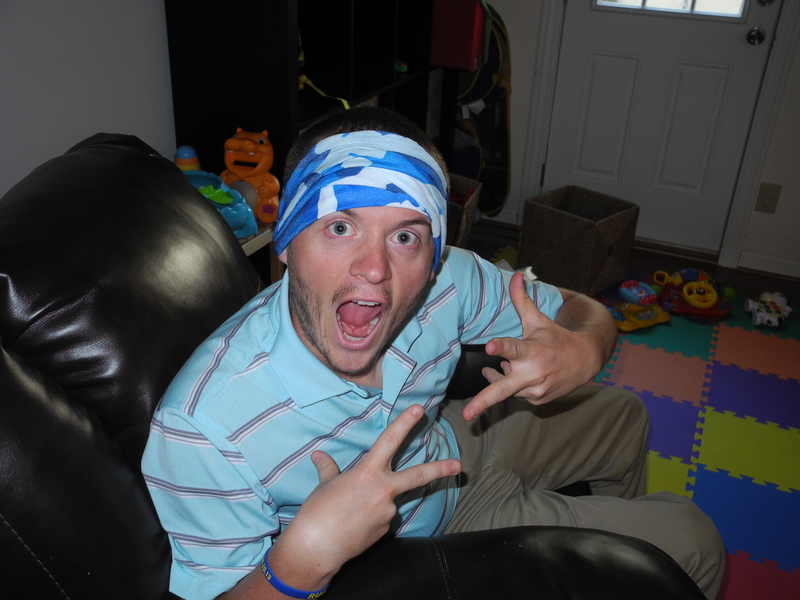 Disclaimer: I am in no way affiliated with Stridebox (I wish I was! LOL). I purchased this subscription myself and all opinions are my own.